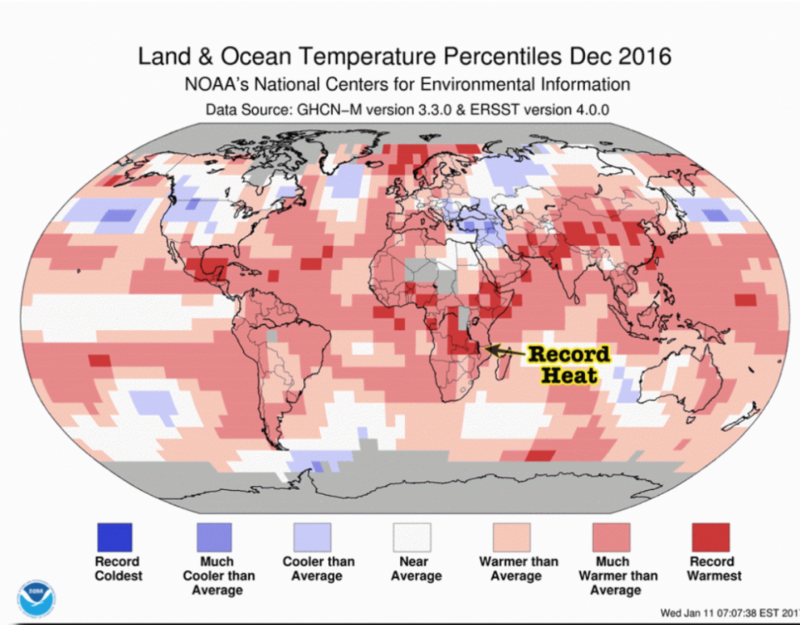 NOAA shows the Earth red hot in December, with record heat in central Africa. The map above is fake. 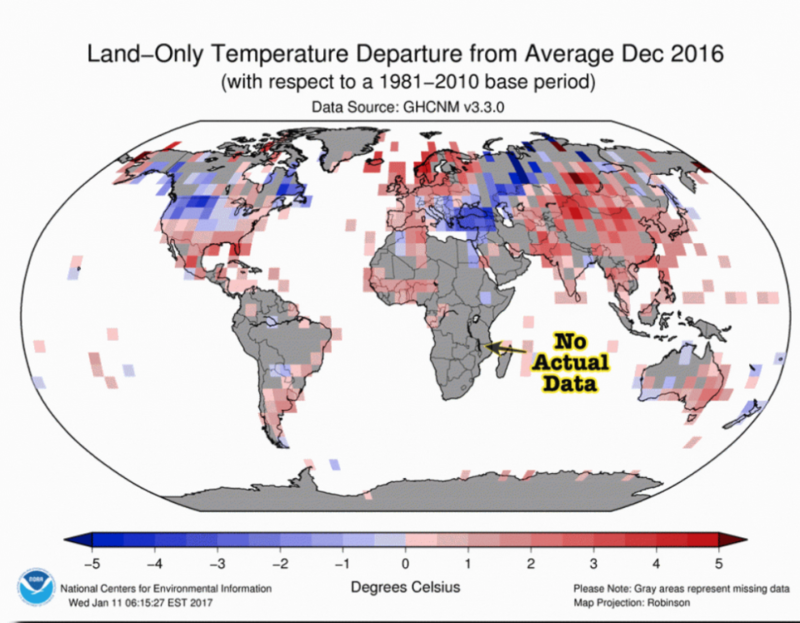 NOAA has almost no temperature data from Africa, and none from central Africa. They simply made up the record temperatures.